Kim Walker is a worship leader for Jesus Culture and Bethel Church in Redding, California. She currently has 3 albums out on Jesus Culture Music (available at www.jesusculturemusic.org) along with several other collaborations. Kim was recently (2009) married to Skyler Smith, and has since used Kim Walker-Smith (instead of Kim Walker) for her releases. Kim Walker is a joyful, radical lover of Jesus! She lives to worship Him with every ounce of her being. 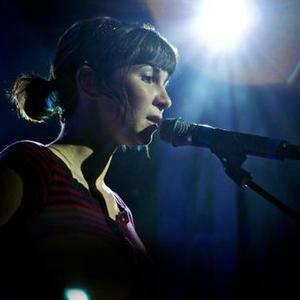 Kim was recently (2009) married to Skyler Smith, and has since used Kim Walker-Smith (instead of Kim Walker) for her releases. Kim Walker is a joyful, radical lover of Jesus! She lives to worship Him with every ounce of her being. One of the greatest desires of her heart is to see God's kingdom and power manifest for people to be set free, healed, and radically changed as they encounter God in worship. Kim currently leads worship and pastors the worship team at Bethel Church in Redding, California. She has quickly become one of the strongest voices for the current youth revival. She is a passionate worship leader with an anointing to bring an entire generation into an encounter with God. All of those who are in a worship service led by Kim will catch her contagious love to worship.